[et_pb_section admin_label="section"][et_pb_row admin_label="row"][et_pb_column type="4_4"][et_pb_text admin_label="Text"] I have a beautiful family on the blog today showcasing my latest Hanover MD maternity portraits! This family lives in a new development just outside of the city that feels like you're in the country. Such a beautiful place to raise their young family! We took advantage of the open space for these outdoor portraits before moving inside for more lifestyle type images. They are expecting their second child, a daughter! This little guy is AJ and at first he was a bit unsure about me and shy. But we became fast friends once we got to know each other. 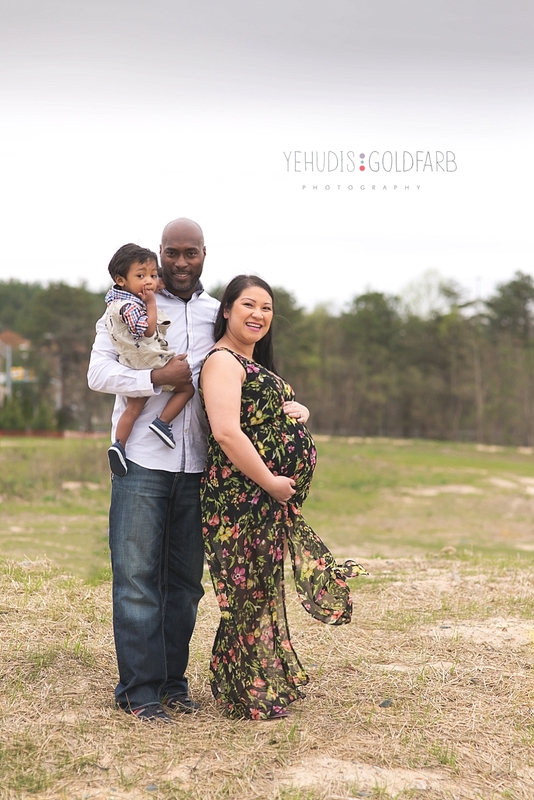 Are you looking for a photographer to take your maternity portraits and love this Hanover MD maternity portraits session? I'd love to chat about a unique session for you and your family! Email me at ylgoldfarb(at)gmail(dot)com and we will start brainstorming your session today! Be sure to ask me about my new Baby Plan offerings that will make sure you capture all the important milestones in babies first year and create a piece of artwork to remember it by. Want to see another beautiful maternity session? Here you go!